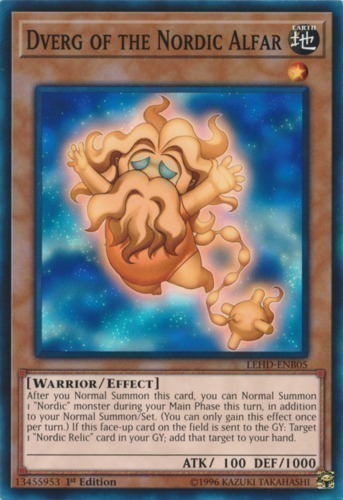 After you Normal Summon this card, you can Normal Summon 1 "Nordic" monster during your Main Phase this turn, in addition to your Normal Summon/Set. (You can only gain this effect once per turn.) If this face-up card on the field is sent to the GY: Target 1 "Nordic Relic" card in your GY; add that target to your hand.